Q: How do I get permission to sell my stuff? A: Entry into the Sellers Group is only allowed if you have at least ten positive feedbacks for selling tangible goods (physical items that must be shipped), Feedbacks can be on our Trader Feedbacks and ebay. Other examples may be considered but should be recent. Sellers must be regularly posting Arena members for at least 4 months and at least 16 years old. Q: Cool! I qualify! How do I become a seller? A: You can sign up HERE. Follow-up with a PM to Classifieds with LINKS to your feedbacks. Q: I'm an official seller, now what? 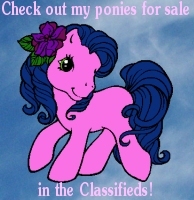 A: Now you can click on the Place an Ad text link on the main Classifieds page. You'll need to set up your seller preferences and settings! Make sure that if you want to take Paypal using the systems Buy It Now option that your Paypal email is also the email you have in your Arena profile page. If these don't match your buyers will get an error message when they attempt to check out. Q: How do I upload pictures on my ad? A: You have 2 options, first you can upload your pics to a web server or free gallery of some kind. Your arena sales gallery will work, or photobucket. Copy the URL for the image and paste it into the URL: box with the matching file type. Click Add Image and the image will be hotlinked to your ad. OR, you can upload your pics from your computer if they are in .png format only, and select "Upload" to inlcude it in your ad. You may use up to 5 images per ad. Q: I want to Sell using the "Buy It Now" option, how do I set that up? Q: I'm not sure what my stuff is worth, can I take offers? A: Yes Just select the Offers Accepted on the listing creation page and you will get email notification when someone is interested in placing a bid. You can either accept it or leave the listing active, up to you, but don't forget to message the people placing bids to let them know the status. Q: What Category to I list things in? A: Categories do change sometimes, there will be a post in this forum if that happens! Take a look at all the categories available before you start making ads. The main generation headings are only for merchandise and there are sub-categories for everything else. If you repeatedly put your loot in the wrong place you'll get a message from a Mod asking you to please edit your ads. Remember, it's worth checking this as you make your listings since your buyers will be searching by category! Q: How many Ads can I make? A: You can make as many as you like! You will automatically get to make 40 ads, but if you want to be able to do more, just PM SilverCygnet or BridgetsMum to adjust it for you. Q: How long will my ad run? A: It will run for one month. An Admin will renew expired ads every so often, but you can also do it yourself from your My Listings page by clicking "repost" next to that ad. Q: My item sold, now what? A: If your buyer used BIN, you may need them to PM you their shipping address as it won't be on the Paypal transaction page. You should then go to your My Listings page and click the "sold" check box otherwise other people may attempt to buy it, although if you put 1 for the quantity when you created the listing, they would not be able to use BIN by mistake, but the ad will still be posted in it's category. If your item sold without using the Paypal button, you will need to click the sold button, adjust the quantity to "0" (this is almost at the bottom of the listing edit page) and just to make sure the Admin does not renew it by mistake, you should also put *SOLD* into the title. Please remember to clear out your old, sold listings once the buyer has recieved it and you no longer need it for reference. Q: Can my buyers adjust the shipping at checkout? A: No, at this time the program does not support that. Please make sure to state what shipping is shown on the listing and tell people from other countries to contact you for a shipping adjustment BEFORE they click BIN If you know someone is going to buy your item and they will need a different shipping price, just edit your ad to fix it for them and they'll be able to use the BIN button. Q: Why didn't my buyer's address come thru on the Paypal transaction page!?! A: That's a great question it seems to be a bug with the Paypal cart, so please mention in your ad for your BIN buyers to please PM you their shipping address after they complete checkout. Q: How do I leave feedback for Classifieds transactions? A: We've disabled the seperate feedback system that is part of the Ads, so just ignore all that and use the Arena Feedback page like any other transaction you would do here No need to worry about all the "trade partner status" links, they've all been shut down. Big THANKS to shelti and the mods for patiently helping us test this feature. Hey everybody! Brand new classifieds sigs - all for your use. Code for each is provided below the picture. The code links to the main page of the classifieds, so feel free to change it to link to your own sales. And they all fit within the sig limits, with room for another picture - just make sure to watch the weight limits as well. So, post requests here and I'll post the edited ones here with the code to put in your account file. 1. Classified Feedbacks: We are using the regular Arena Trader Feedbacks now. Buyers and Sellers should leave feedback for eachother here..
3. How long does it take to get approved as a seller? That depends upon how busy the Mods are, and how much research we have to do to find your selling feedbacks. You can speed up this process by making sure that you send that PM to Classifieds and that it has LINKS to your feedback on other sites, not just your user name. So, it can be anywhere from a few hours to a week. 4. My selling application request was denied! Why? 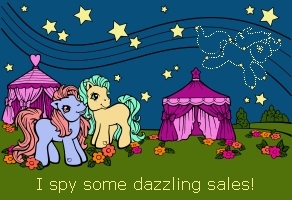 We are trying to make sure that all sellers have not only met the selling requirements, but that they are ACTIVE members of the MLP Arena, which means that very new members, or members with a low post count over a long time will need to apply again later once they have been around a bit more. This is a trust issue which will help all of our members feel more comfortable with their purchases. Please PM additional questions to SilverCygnet or BridgetsMum and we'll add your answers here!